Phil's practice focuses on complex litigation, with a concentration on municipal concerns. 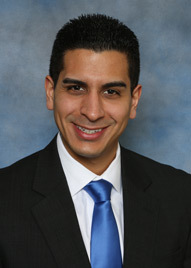 Phillip A. Perez was a Summer Associate with SDV before returning to the firm as an Associate. Phil's practice focuses on complex litigation, with a concentration on municipal concerns, and his successful litigation practice includes a favorable Virginia state court decision holding that vendors and suppliers of construction related equipment may not lose indemnity under construction anti-indemnity statutes. He was selected as a New England Super Lawyers Rising Star in 2018. Phil has a strong background in insurance, having worked as an insurance adjuster at Travelers Property and Casualty Corporation prior to attending law school and as an intern at Liberty Mutual Insurance Group and Montpelier US Insurance Company while a student. He also interned with the Hon. Vanessa L. Bryant of the United States District Court for the District of Connecticut during law school and spent a semester studying abroad at Tilburg University in the Netherlands. Phil is actively involved in the Lawyers Collaborative for Diversity, serving as a mentor to law school students. He is a member of the Connecticut Bar Association's Diversity and Inclusion Committee, and sits on the firm's Diversity and Inclusion Committee as well. He also serves as a Content Editor for substantive content produced by SDV attorneys. Phil is an avid hiker and cyclist as well as an accomplished cook. He currently resides with his wife and son in Stratford, Connecticut.